PLA-HI is our latest creation for 3D printing. Alike other PLAs, PLA-HI is bio sourced. It combines PLA’s easy impression and ABS resistance. But let’s get down to its characteristics, pros & cons and printing tips. Poly-Lactic Acid (PLA) is the result of polymerization of Lactic Acid. Lactic Acid is a monomer found in natural sources such as sugar cane or corn. High-Impact (HI) is the result of our expertise in plastics formulation. So, PLA-HI is a PLA, making it bio sourced and biodegradable. PLA has been around for the past 10 years. It was first used to replace polyolefin plastic bags. As it gained some mechanical strength it began being used for food packaging and containers. In addition to the original properties of PLA, our team has modified the original formula. It allowed us to create a PLA comparable to ABS regarding tensile modulus and percentage of elongation at break. Its impact resistance is twice as high as that of standard PLA and ABS on XY axis. It can be three times as resistant on the Z axis. 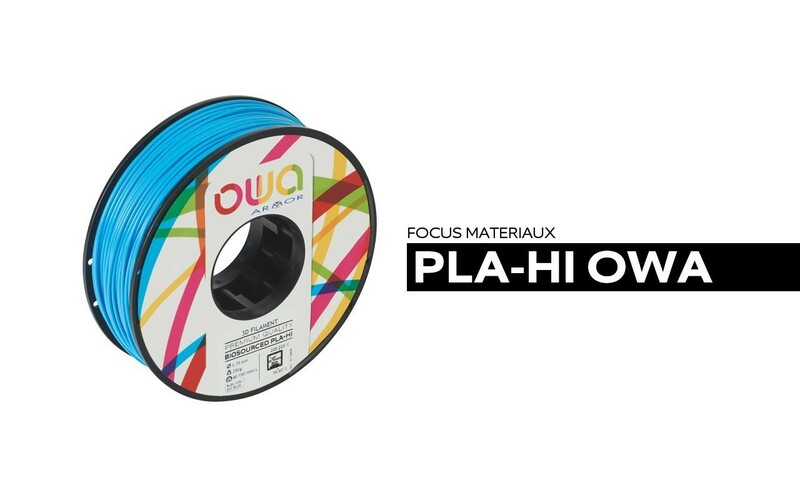 What are OWA PLA-HI characteristics? PLA-HI is easy to print. It does not require particular settings, nor does it need a heated bed. From a technical standpoint, it shows great layer adhesion, no warping or retraction. It showcases great dimensional stability and great visual quality. The end item is slightly shining. Post-production is easy, so painting is effortless. Formulated specifically for 3D printing, PLA-HI is a good alternative to both PLA and ABS. It is as hard as PLA, with a greater traction modulus. It withstands impacts and outdoor conditions better. It prints easier than ABS and unlike it, it is odourless. Similarly to PLA, PLA-HI’s glass transition point is relatively low. The material begins to soften after 60°C. It is important to define the final use before printing. Please do not hesitate to get in touch with us for any questions. It is not yet certified for food contact. However, the material is already widely used for such applications such as kitchenware. PLA-HI comes in 10 colours: white, natural, grey, yellow, red, blue, black, orange, green and neon green. We offer two diameters: 1,75mm et 2,85mm. 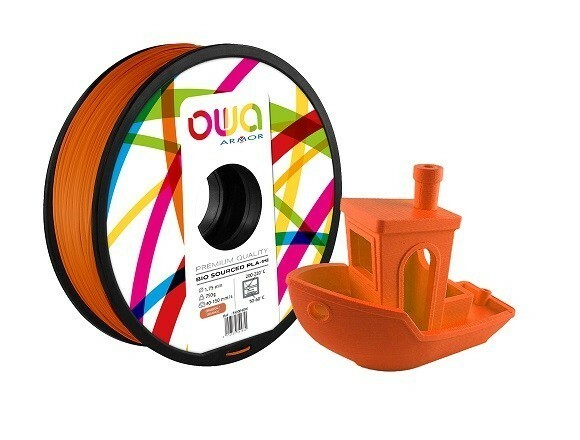 How to print OWA PLA-HI? Remember that parameters differ depending on the printer, the filament and the software.